A favorite of so many, including me. So visual and serene...a bygone time, when one depended on horses for travel. What a marvelous poem today. Always one of my favorites. I could read it again and again. Robert Frost was a genius poet...so many poems that touch the heart and soul. I have always loved this one and have recited it more times than I can count. Bravo Jayne. Perfect choice for the shortest day of the year. Winter by Robert Frost. What could be better? One of my all-time favorite poems!!! Thank you Jayne, and thank you Robert Frost. My mother read bedtime stories to my sister & I but they were always poems. I have loved this poem from little on. 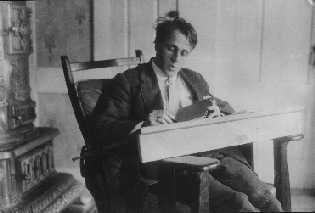 Once - in the dark and distant past- I was lucky enough to go to a poetry reading by Robert Frost. It was quite wonderful. He not only writes lovely poetry - he is charming.A lovely memory. What can one say except "Let me read this again?" The absentee meadow owner, the prescient horse, the willful narrator, the final repetition, the words that beg to be read again.